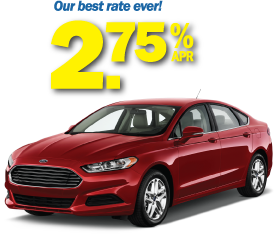 News from LMCU: Spring into your next vehicle with our best rate ever! Spring into your next vehicle with our best rate ever! If you own or are planning to buy a new or used vehicle, financing your new ride just got even more affordable. Vehicles from 2007 through 2014 are now eligible for 2.75% APR* financing, whether you buy or want to refinance. It’s one more money-saving way LMCU benefits its members. To get the refinance process started, simply bring your title and proof of insurance into any branch or call our auto refinance hotline at (616 or 800) 242-9790 ext. 9944. *APR= Annual Percentage Rate. Terms 0-63 months. Rate subject to change. Your rate may vary depending on your specific credit terms.” Rate may vary depending on your credit profile.